A great personalized gift! 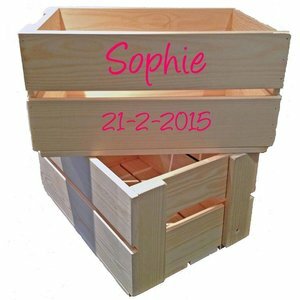 A wooden crate with the name of the birthday child or newborn baby. Filled with a size 86 red and size 23 red clogs. For endless hours of play. A great personalized gift! 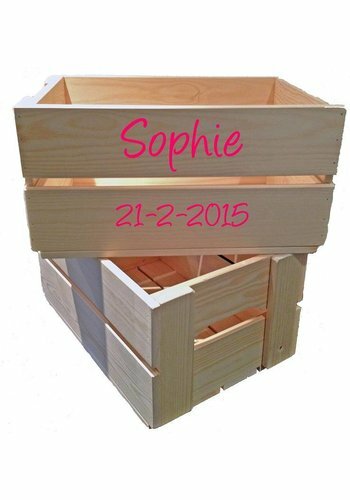 A wooden crate or chest with the name of the birthday child or newborn baby. Very original!?? The crate contains a size 86 red coverall and size 23 red clogs. 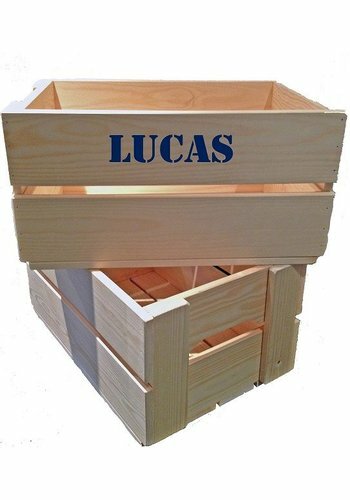 If you wish, we can deliver the crate directly to the parents or the birthday child. 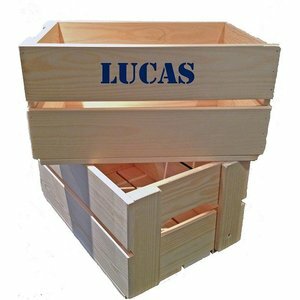 We'll ensure that the crate comes with a nice card with your personal text written on it. The crate can also be delivered at home so you'll have the opportunity to write the card yourself and, for example, fill the crate with your own gift(s).?? The rough wooden box is sturdy and made from a mix of spruce and pine wood and comes with a vinyl sticker with a name or fun text on it. In addition, this cute name box comes with a label on which you can (let us) write ? ?a text. You can write the text for the label in the comment section during the ordering process. You can also leave the comment section blank and write the text yourself when the crate arrives.? ?